SEOUL, June 18. /TASS/. 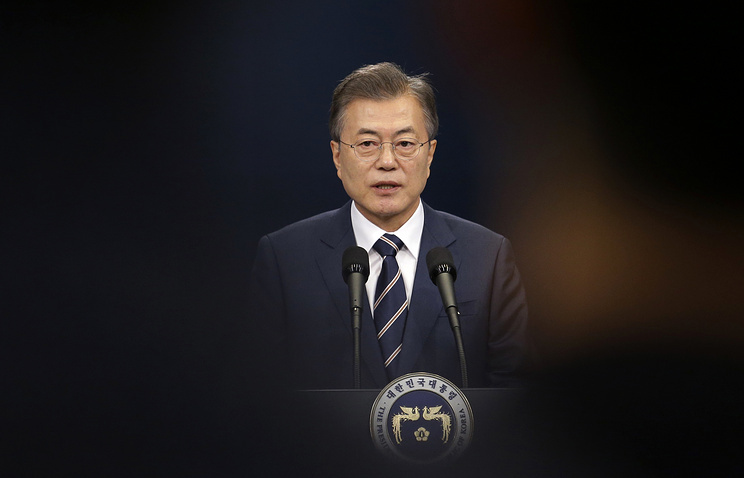 South Korean President Moon Jae-in will pay a three-day state visit to Russia later this week to meet with his Russian counterpart Vladimir Putin, Yonhap News Agency reported citing an anonymous presidential administration official. 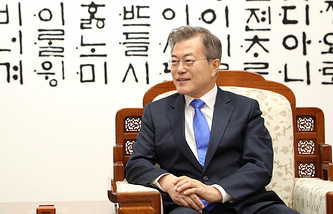 The two presidents' meeting will be held on Thursday, shortly after the South Korean leader’s arrival in Moscow, the news agency noted. That will be Moon Jae-in’s first visit to the Russian capital since he was elected in May 2017 and the first state visit by the South Korean president to Russia since 1999. Moon Jae-in and Putin are expected to pay special attention to North Korea’s nuclear issue during the summit. ""Russia has been making significant contribution to efforts to denuclearize North Korea while it has also played a significant role in pressuring the North, considering its economic relationship with North Korea," the news agency quotes the administration official as saying. "Also, the visit is expected to help promote strategic cooperation between the two countries to establish peace in Northeast Asia amid positive developments in security conditions and efforts to denuclearize the Korean Peninsula," the official added. While in Moscow, Moon Jae-in will also meet with Russian Prime Minister Dmitry Medvedev and other high-ranking officials. He will also be the first South Korean president to address Russia’s State Duma (lower house of parliament). Later on, the North Korean president will travel to Rostov-on-Don, a city in southern Russia, to attend the FIFA World Cup match between South Korea and Mexico before returning home on Saturday.